Whether you are looking to move here or you are a long time Idahoan, you've probably heard of the dreaded snowmageddon that we experienced for the winter of 2016. Therefore, we are here to help give you some tips to hopefully make the winter a little more bearable this year! 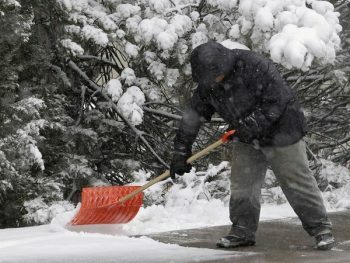 Use a thin coat of vegetable oil or cooking spray on your shovel, This works great for that snow that tends to stick and clump up on your shovel. 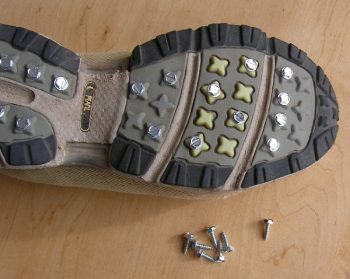 Push some screws into those old worn-in sneakers and you have your very own tire chains, but for your feet. 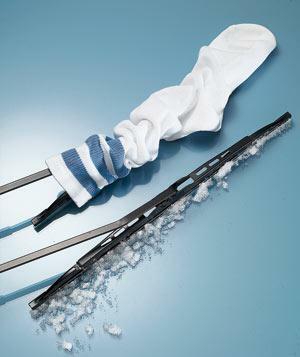 Place either a plastic bag, a whole car cover or even some knee-high socks on your wipers to help prevent them from freezing onto your windshield. 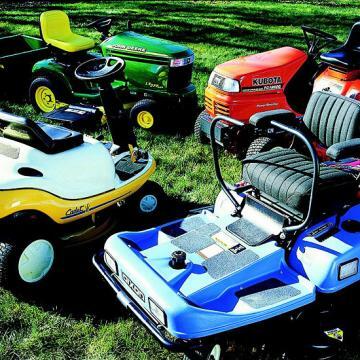 Taking a little time now to winterize your mower will help ensure it's ready to go when the grass begins to grow. The most important thing you can do to winterize your mower is drain the fuel. 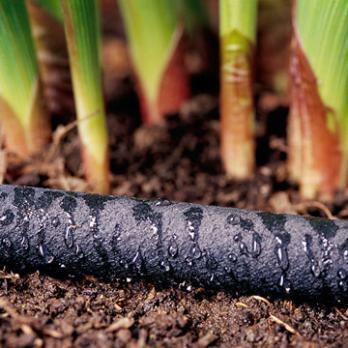 Before winter, disconnect the pump to your irrigation system, drain it, and bring it inside. If you have a backflow preventer, do the same. Shut off the supply to your irrigation system, and make sure the main shut-off valve is freeze-proof. 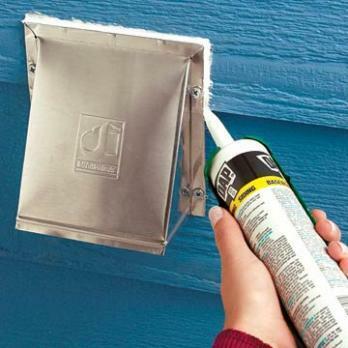 In addition to keeping your home warmer in the winter and cooler in the summer, plugging exterior cracks will help make sure no insects or rodents decide to pay an unexpected visit. 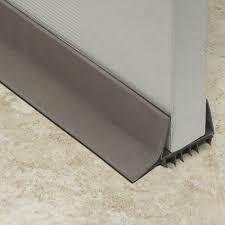 Do any needed caulking on the exterior of your garage, shop, or other outbuildings as well. If there are any cracks or potholes in your driveway, now is the time to fix them! Once snow settles into those areas, the damage will get worse, as the moisture freezes and thaws over and over again. While you're at it, install snow fencing along your driveway, lane, or other areas where drifting is known to be a problem. The time to put up snow fence is before it snows, so don't waste any time! 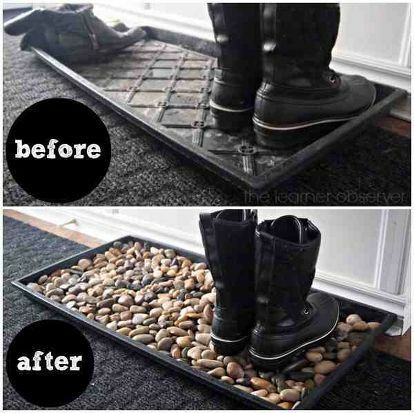 To help prevent the added mess of snow and mud that seems to pile up in the winter time, even in the house create an easy DIY Boot Tray with pebbles and a plastic boot tray to leave by the most trafficked areas of the home. 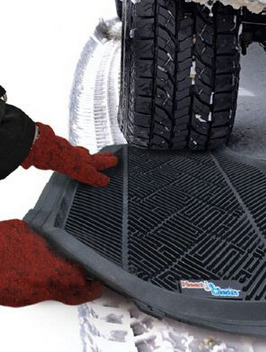 Keep a car mat near by in case your tires need more traction to get out of your driveway or parking lot. Don't be any colder than you have to! Plus it'll save on your heating bill to have a well insulated house. 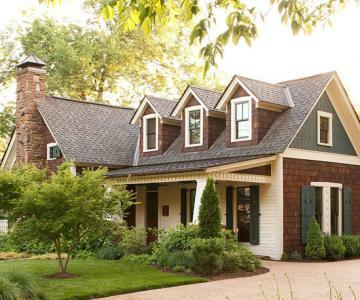 arrow_backWHICH DOWN PAYMENT STRATEGY IS RIGHT FOR YOU?